The Brussels Christmas Market 2018 is no doubt one of the best in Europe for food and atmosphere. 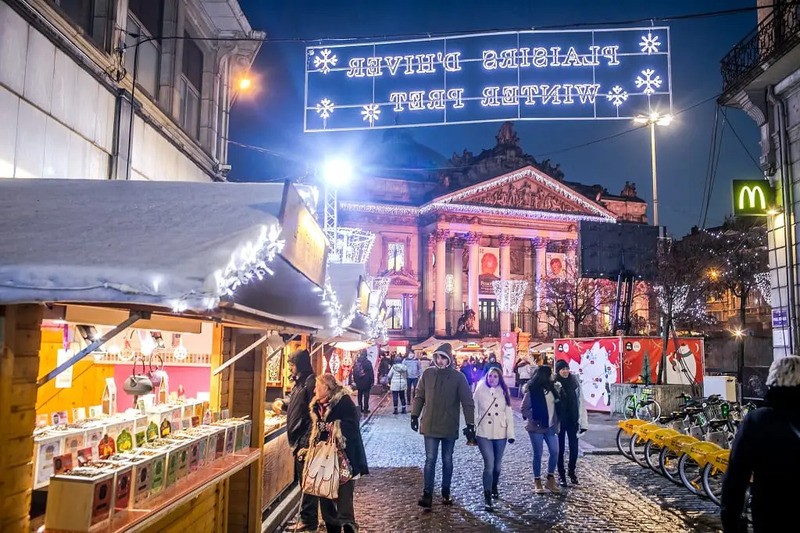 Winter Wonders – as the market is dubbed – runs over two kilometres through the Belgian capital’s historic town centre. Think cobbled streets and medieval market squares home to snow-dusted market stalls, cosy brasseries, lively pop-up cafés and bars. 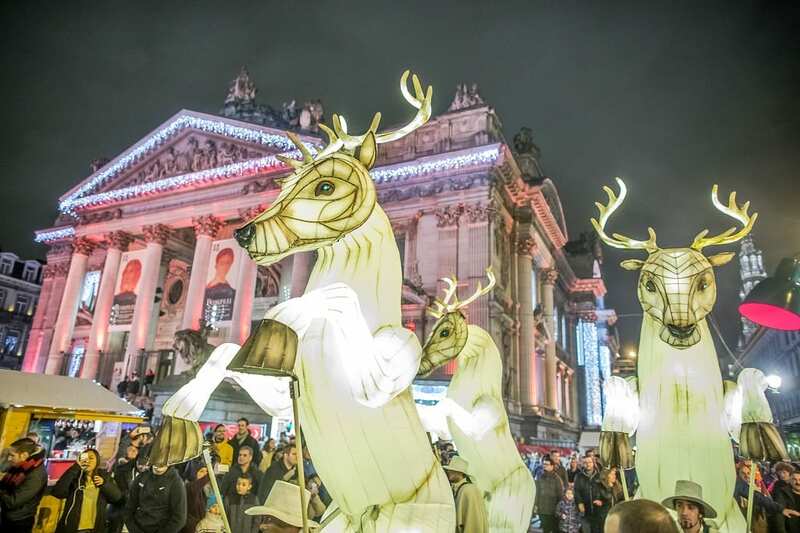 A covered ice-skating rink, an illuminated Ferris wheel, merry-go-rounds, brass bands, free performances, ice sculptures, a fun Christmas parade and a magical light and sound show liven it all up. Finally, there is of course also the grandly decorated fir tree. Probably the biggest highlight of the Brussels Christmas Market 2018 are the 270 wooden gingerbread-house-style chalets. Decorated with fairy lights they have everything on offer from arts and crafts to mountains of waffles, mulled wine and the type of hot chocolate that would impress even fussy Hercule Poirot. 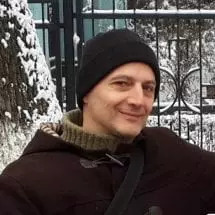 While you find yourself in Europe’s capital, join Mark Bibby Jackson discovering plenty of things to do in Brussels. In addition, food lovers will delight in the aromas and flavours of local food delicacies including oysters, salmon cooked on embers, steamed snails, Flemish stew with fries, forest mushrooms, burgers, crepes, and an endless variety of regional beers and genevers – the country’s national gin-based liquor. Needless to say, Belgian chocolates are everywhere. The Grand Place is the heart of it all. The beautiful Christmas tree stands proudly here and you can enjoy classical Christmas music as well as the light and sound shows. Place Sainte-Catherine is home to the Ferris wheel, vintage merry-go-rounds and the larger food and drink stalls including a Champagne bar. They’re located around the beautiful 15th century Sainte Catherine church. Place de la Monnaie is where you can find more stalls and fumble on the ice skating rink after a glass of mulled wine. Finally, for yet more stalls and cosy cafés, explore the area around La Bourse. This 1868 neo-renaissance former stock exchange will be covered with Christmas lights for the occasion. Have a Corsendonk Christmas Ale here in the 1903 Art Nouveau café Falstaff. 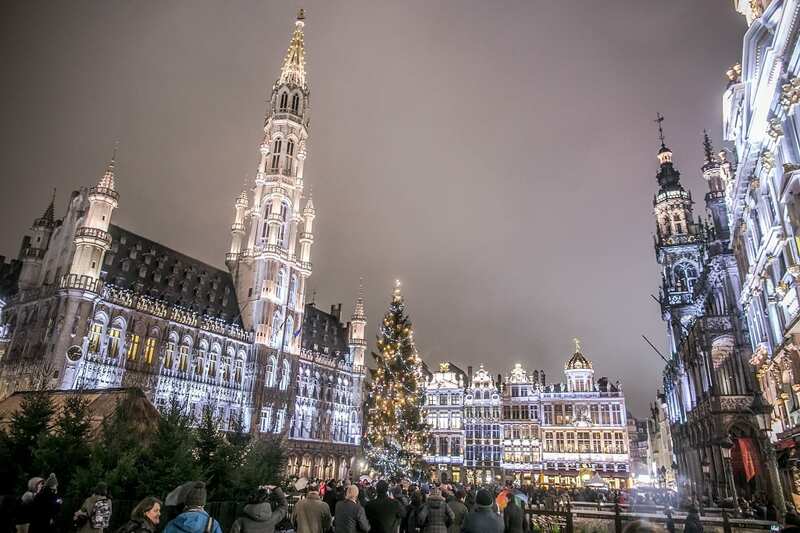 One of Belgium’s cosiest Christmas markets is the one in the old student town of Leuven. Head to the Sint-Donatuspark and Ladeuzeplein. For the romantics, visit the Christmas markets of the medieval towns of Bruges and Ghent. Liège is home to the country’s oldest Christmas market. Here you’ll find an entire Christmas village with emphasis on gourmet food in warm tents. 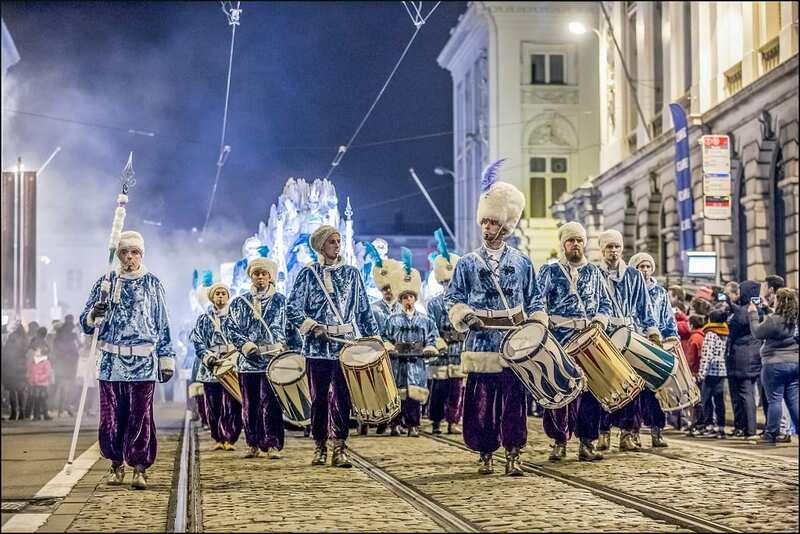 Brass bands, traditional choruses and folk dance groups animate the town. 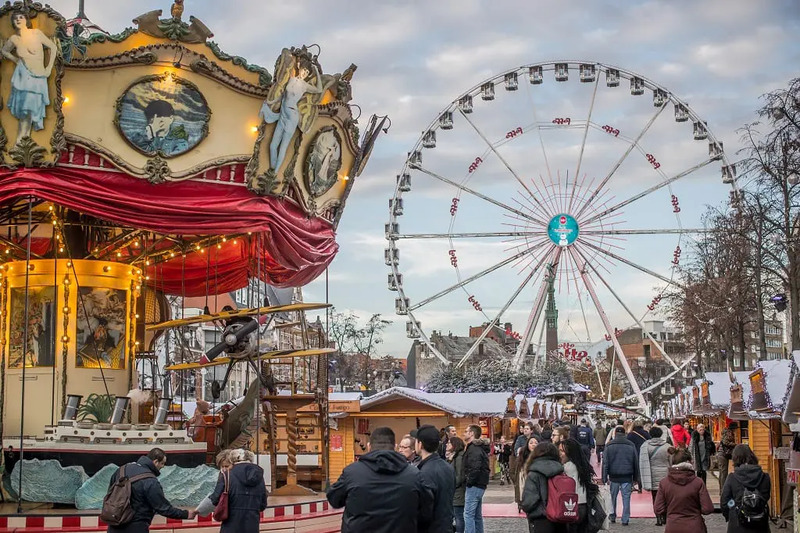 If you need to inject some action in your Christmas market, the one in the city of Hasselt features amusement parks, a rollercoaster and a Christmas haunted house – amongst other things. For beach lovers in winter, head to the coastal town of Ostend. 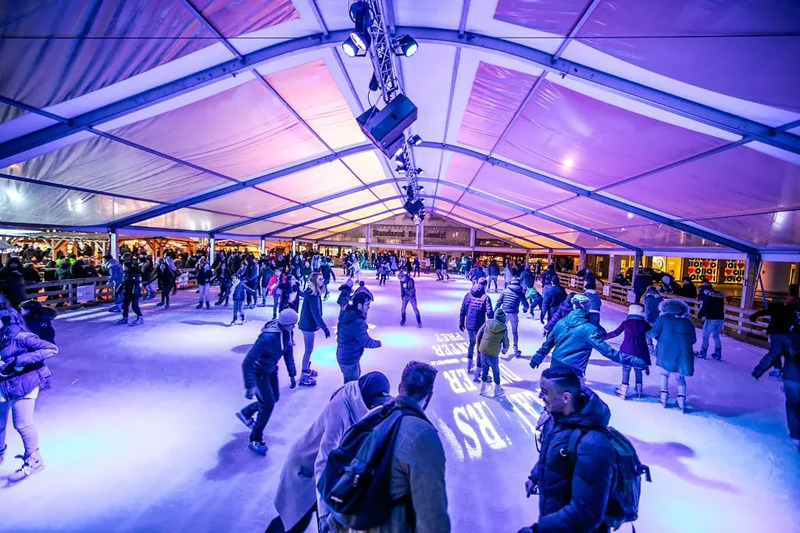 Have a spin on the indoor Christmas-decorated ice rink – at thousand square metres Belgium’s biggest. 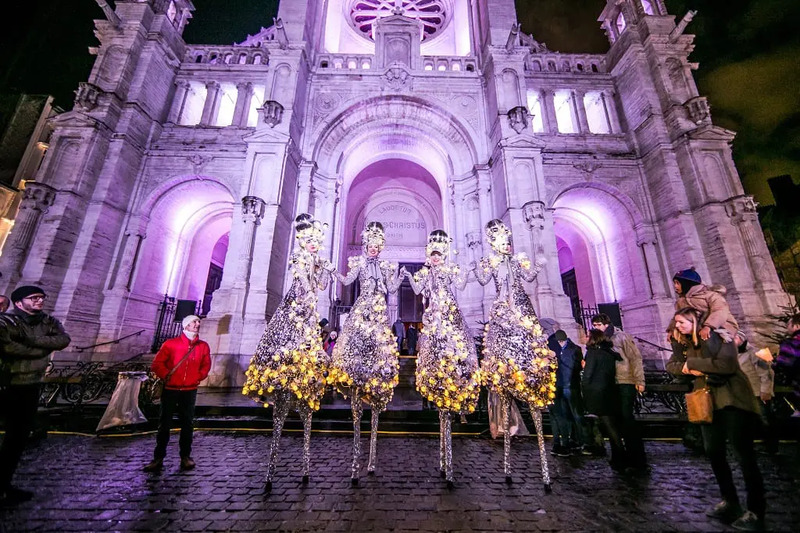 Another big one is in the port city of Antwerp where Christmas is breathed all over town. Head from the Meir to the Groenplaats and the nearby Grote Markt, Handschoenmarkt and Steenplein. Finally, if you’d like a quirky Christmas, visit the caves of Wonck in the province of Liège. A bus will take you up to the 2000-year-old Grottes de Wonck inside which you’ll find an artisan Christmas market. Local produce is on offer here, from handicrafts to plenty of food such as sautéed mushrooms (which are cultivated inside the caves), oysters with champagne, cured meats, cheeses, wines and sweets. From London, the easiest way is by Eurostar from St. Pancras which will take you into Gare Centrale (Brussels Central Station) via Gare Midi (Brussels South Station) in just over two hours. From there it’s just a short walk to the Grand Place. If you come by plane, there’s a direct train link between Brussels Airport and Gare Centrale. There are also train connections to Brussels Gare Centrale from most major European cities. Click here for train travel connections to Brussels. The Brussels Christmas Market 2018 is open from noon to 10pm every day except on 24 and 31 December when it closes at 6pm. For detailed opening times, site maps and all events details, visit the Winter Wonders official website. Cover image © Eric Danhier.